I took a small break from holiday crafting, and made a Thank You card. I used pattern paper from three different collections, three different companies. And I am happy with the outcome! 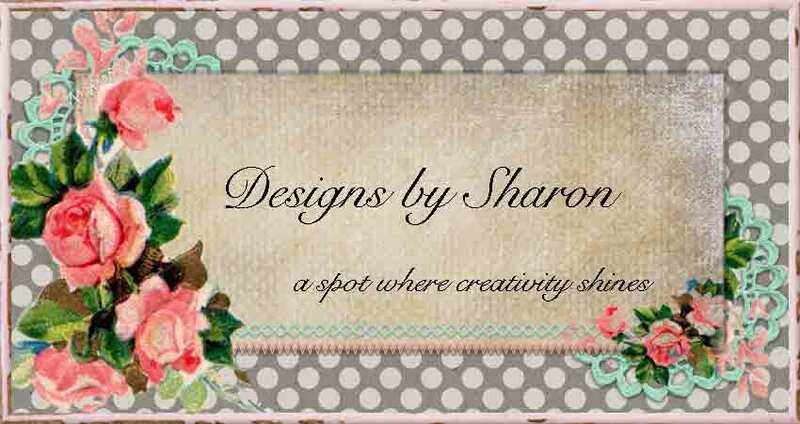 the card recipe: The card base is made with Not Quite Navy card stock by Stampin' Up!. And yeah, it's a retired color. But I still have a package of card stock. I love the color. It's dark blue without being too dark, and with a subtle gray tone. Ok, the polka dot pattern paper is from Echo Park, Quotes. This is actually the reverse side of the paper. I love polka dots! 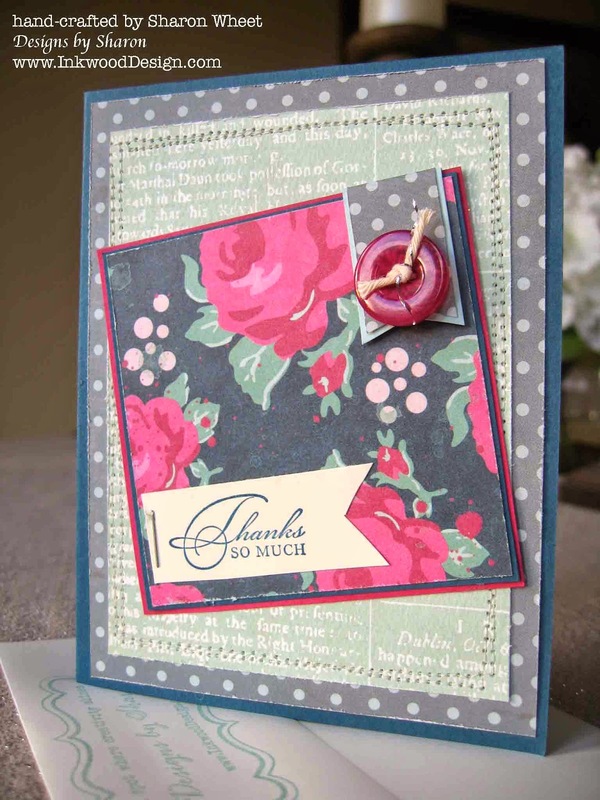 The text paper is from Carta Bella, their Sew Lovely collection, Lovely Floral. And yeah, another reverse side of paper. The paper on the other side, has single blossoms repeated. But, I love the text. I adhered the text pattern paper onto the polka dot pattern paper, and then ran a simple border stitch with my sewing machine, before I adhered this piece to the card front. That way, the stitching isn't seen on the inside of the card. 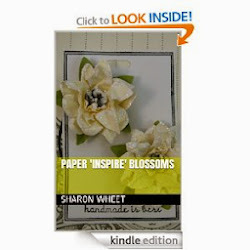 The bold floral pattern paper is from We R, Inked Rose. The reverse side of this patten paper is stripes in the seafoam green color. I matted the floral pattern paper onto a scrap piece of NQN card stock. And then matt this piece onto Rose Red card stock. I added a banner piece to the top right corner and the lower left corner. The upper right corner is a scrap piece of the polka dot pattern paper, matted onto a scrap piece of pool party card stock. I added a button tied with silver bakers twine. The sentiment was stamped in NQN classic ink, onto a scrap piece of whisper white card stock. I created the flag end with scissors. And stapled this piece.